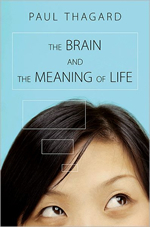 "The Brain and the Meaning of Life provides a highly informed account of the relevance of recent neuroscience to human life. It compellingly tells how humans, as biological creatures in a physical world, can find meaning and value." "Engagingly written for general readers, Thagard's book provides a nice description of current knowledge about the brain and explains how brain research bears on philosophical issues." Why don't you kill yourself? Albert Camus began his book The Myth of Sisyphus with the startling assertion: "There is but one truly serious philosophical problem and that is suicide." A French novelist and philosopher who won the Nobel Prize for literature in 1957, Camus said that judging whether life is or is not worth living amounts to answering the fundamental question of philosophy. If life is meaningless, there is no point to pursuing traditional philosophical questions about the nature of reality, knowledge, and morality. Why life is worth living is indeed an urgent question, but it is rarely the question of suicide. The question of why you don't kill yourself only arises if you think that there are reasons why you would kill yourself, and peoples' lives are rarely so miserable that such reasons become prominent. If depression, disease, and despair were the overwhelming character of everyday life, then people would have a daily struggle about whether to go on at all. Unfortunately, such a struggle is not rare among young adults: an American survey of university students found that ten percent said they had seriously considered suicide during the preceding year. Most of us face the much less drastic question of how to go on, of how to live our lives. Then the question of the meaning of life is not the skeptical one of whether there is any meaning at all, but rather the constructive one that can have informative answers concerning what aspects of life make it worth living. My aim in The Brain and the Meaning of Life was to use experimental and theoretical research in psychology and neuroscience to provide a much richer and deeper understanding of how love, work and play provide good reasons for living. Thus an answer to Camus' philosophical question about the meaning of life becomes tied to scientific findings, which many philosophers and religious thinkers would consider cheating. They think that philosophy should be concerned with truths that are eternal and absolute, not with the messy and sometimes transient findings of empirical science. Unfortunately, philosophy has been no more successful at finding such eternal truths than religion. In contrast, I show that neuropsychology is richly relevant not only to the question of the meaning of life, but also to questions that I think are just as fundamental, concerning the nature of reality, knowledge, and morality. The approach to philosophy that I favor, attempting to answer fundamental questions by relating them to scientific findings, is called naturalism. Many philosophers since Plato have scorned naturalism, arguing that science cannot provide answers to the deepest philosophical questions, especially ones that concern not just how the world is but how it ought to be. Psychology and neuroscience are particularly rich sources of evidence relevant to the four central philosophical questions about reality, knowledge, meaning, and morality, so I call my approach neural naturalism. To address ethical questions about the nature of morality and the meaning of life, we need to go beyond cognitive processes to consider how the brain accomplishes emotional feelings and makes decisions. I defend a theory of emotional consciousness that serves two purposes. First, it fulfills a promise to show how it is possible to give a naturalistic explanation of consciousness. Second, it provides the basis for attempts in to describe the neural basis for meaningful decisions and moral judgments. I argue that our emotional feelings are the result of parallel brain processes that involve simultaneous cognitive appraisal of the situations we face and internal perceptions of the states of our bodies. Our everyday decisions about what to do are tied in with the same kinds of processes, which generate the gut reactions that tell us what actions to pursue. Decision making is inference to the best plan, selecting actions that accomplish our goals, which are emotionally marked neural representations of desirable states of affairs. Such inferences require a dynamic interaction of cognition and emotion. Good decision making requires the ability to adopt, abandon, and revalue goals on the basis of experience. With theories about reality, knowledge, and decision making in place, we can address the question of why life is worth living. I draw on recent findings about the neural processes involved in love, work and play to provide an account of how these realms can provide all the meaning to life that people need. Love, work, and play constitute major goals that affect what actions people choose. Philosophy addresses normative concerns about how things ought to be, not just descriptive matters of how things are. I show how love, work, and play deserve to be meaningful because they contribute to vital human needs for relatedness, competence, and autonomy. Love, work, and play satisfy requirements that people need to live as human beings, and so provide the meaning of life normatively as well as descriptively. Finding a balance among competing goals and needs is not easy, but the prospect of satisfying even some of them is enough to generate hope, which is the opposite of the despair that leads to thoughts of suicide. From the perspective of neural naturalism, hope is a brain process that combines cognitive appraisal and physiological perception to produce a positive feeling about future goal satisfaction. I argue that moral judgments are produced by neural processes of emotional consciousness. Understanding the neural basis for moral judgments does not in itself answer the philosophical question concerning what makes actions right or wrong. But it does rule out two sorts of answers that have been historically influential. My naturalistic approach is incompatible with what is still the dominant cultural view, that morality derives from religious teaching. The theory of ethical intuition that I derive from my neural account of emotional consciousness is also incompatible with philosophical views that seek the basis for morality in indubitable ethical intuitions or a priori reasoning. I will argue for an ethical position that allows the morality of acts to be judged by considering their consequences for all involved, subject to constraints that emanate from our neural constitutions, biological nature, and social needs. Inferences about how things ought to be cannot be simply derived from empirical matters, but objective normative conclusions can nevertheless be made by coherently producing inferences to the best moral plan. Normative conclusions about the meaning of life and about human rights can be based on biological and psychological evidence concerning vital needs. Although my approach is deeply biological, it rejects many claims made by evolutionary psychologists concerning an innate basis for specific kinds of behaviors. Plato said that philosophy begins in wonder, but he was only partly right. For many thinkers such as Camus, philosophy begins in anxiety, the intense and hard to overcome feeling that life may be meaningless, absurd, irrational, futile, and lacking in morality. Modern science helps enormously to satisfy the feeling of wonder, by providing answers to questions about what is strange and surprising in the natural world. But science may seem to be helpless to deal with anxiety about lack of meaning in people's lives, and indeed may even increase such anxiety. Suppose physics is right that our universe began around 14 billion years ago in a big bang that produced billions of stars; and suppose biology is right that human beings are just a kind of highly evolved ape. Then our lives cannot have the special, central place in the universe promised by religion based on faith and by philosophy based on a priori reasoning. Hence it is unsurprising that the Brain Revolution encounters opposition from those who fear its practical as well as its intellectual consequences. This book aims to show that neural naturalism can serve to satisfy wonder about the nature of mind and reality, and also to alleviate anxiety about the difficulty of life in a vast and apparently purposeless universe. Philosophy and neuropsychology can do little to remove the many hardships that people face as their lives develop, with inevitable bouts of failure, rejection, disease, and eventually death. But together philosophy and science can paint a plausible picture of how minds, even ones that are merely brains, can apprehend reality, decide effectively, act morally, and lead meaningful lives enriched by worthwhile goals in the realms of love, work, and play. Paul Thagard is professor of philosophy and director of the cognitive science program at the University of Waterloo, Canada. His books include Hot Thought: Mechanisms and Applications of Emotional Cognition and How Scientists Explain Disease. "Paul Thagard was among the first philosophers of science to apply the resources of the cognitive sciences to the study of science itself. 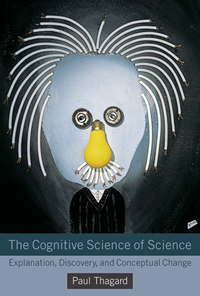 This collection of his recent articles provides a lucid and timely introduction not only to his own approach to the subject, but also to the cognitive study of science as a whole." "This collection brings together Paul Thagard's latest interdisciplinary insights into the workings of science, drawing on his extensive work in historical, philosophical, cognitive, and computational approaches. The broad range of topics here provides an agenda and new directions for future work in the cognitive science of science, especially on the oft-neglected topic of scientific discovery. 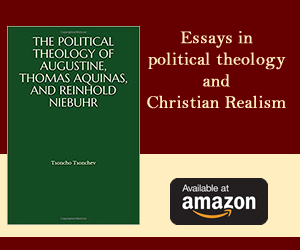 Anyone taking up the topic will want to see the far reach of Thagard's account of conceptual combination." "The cognitive science of science is a rapidly expanding area of science studies and Paul Thagard is one of its pioneers. A collection and expansion of recent ground-breaking work on scientific creativity and discovery conducted by Thagard and his collaborators is thus timely and important. The analyses presented lie at the interface of AI, neuroscience, psychology, and philosophy and provide novel ways of thinking about discovery and creativity for cognitive scientists and science studies researchers, as well as for those interested in creativity more generally."